Card sketch bonun. Card made with Kaisercraft dusty mountains papers. So pretty!! Love the sunburst pattern. Very pretty! Love the bird! Well I like how you made it your own! Like how the bird is sticking out from the side. Love the pretty papers you used ! Love the purple on this! 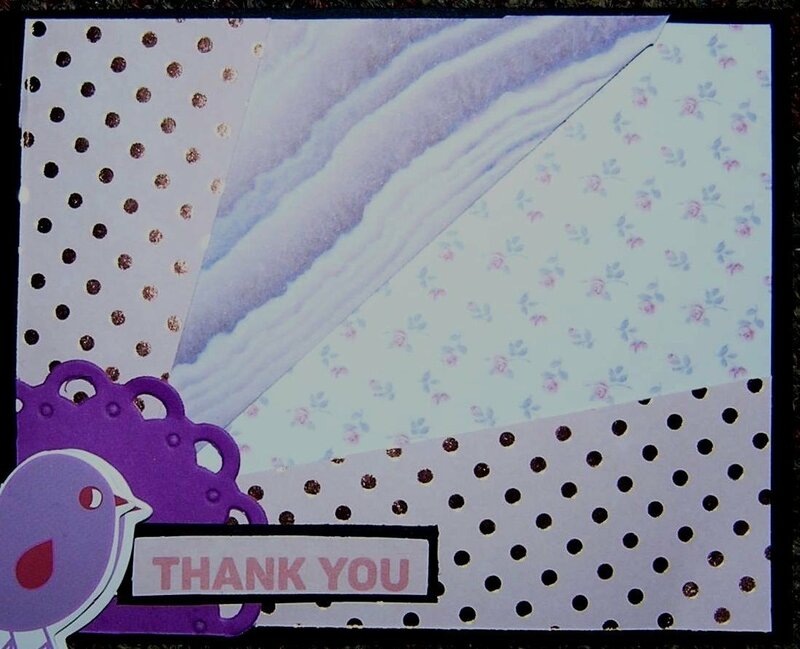 Cute design, with the varied papers, die cut corner and that adorable bird!!! All these cards are simply and absolutely fabulous! Very pretty....the papers are beautiful and the chick is too cute.